kal dosa recipe | kal dosai | how to make steamed kal dosa recipe with detailed photo and video recipe. a famous soft and spongy south indian dosa made with idli rice, urad dal and poha. it is typically made and served in the hotel and is generally thicker as compared to the traditional set dosa or plain dosa. it just melts when served with choice of chutney recipes like coconut chutney and a side dish of sambar. 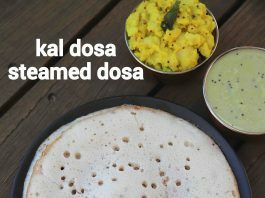 kal dosa recipe | kal dosai | how to make steamed kal dosa recipe with step by step photo and video recipe. south indian cuisine recipes are synonymous with dosa and idli. you can find a lot of variations to these which is basically served for your morning breakfast. one such popular variation is kal dosa recipe, which gets its name from dosa tawa which is made from stone or stone look-alike cast iron. as i mentioned previously, the kal dosa recipe got its name from its dosa pan which is made from stone or kal (meaning stone). 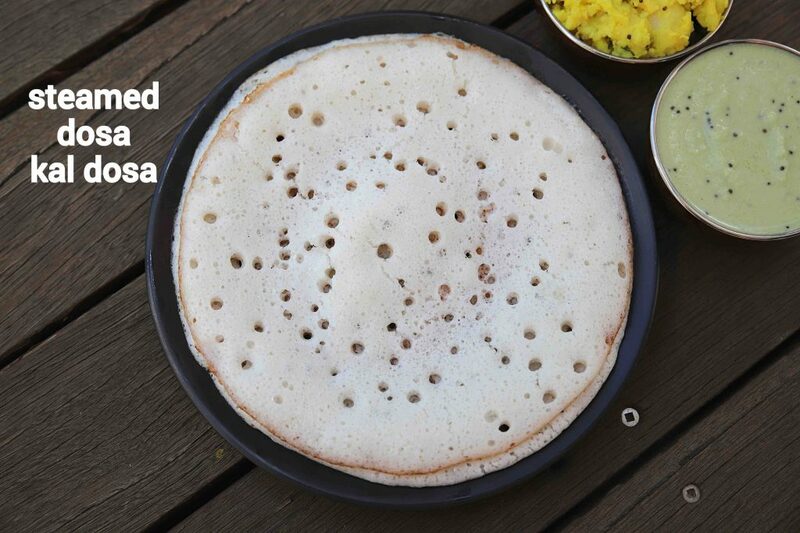 also, the dosa has a unique texture and thickness as compared to the other traditional ones. it is slightly thicker and ultra soft due to idli rice and poha combination used in the dosa batter. 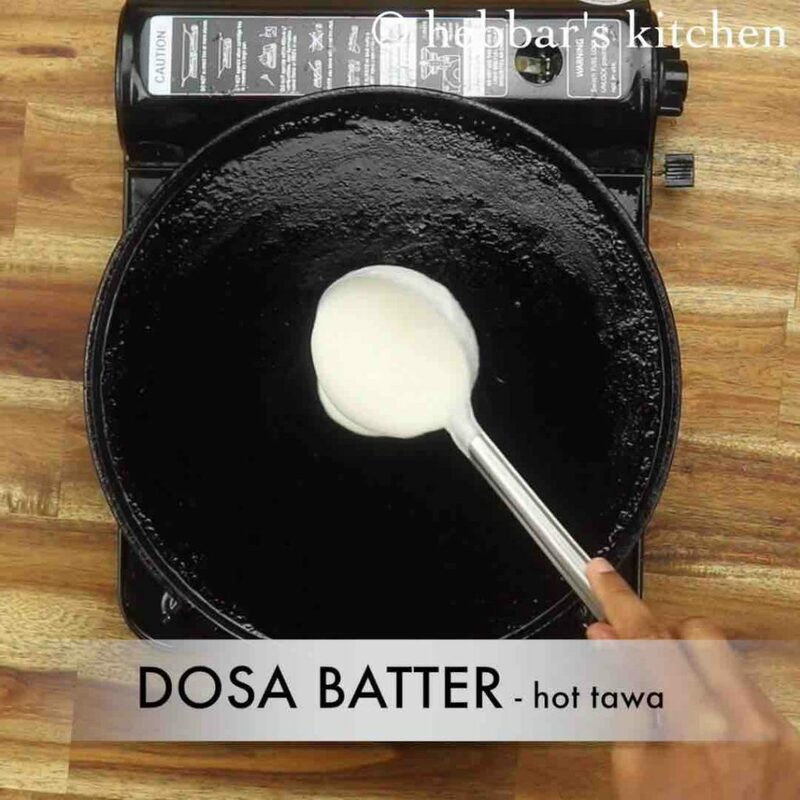 in addition, once the dosa batter is poured on top of tawa, it is gently spread so that it maintains the thickness. 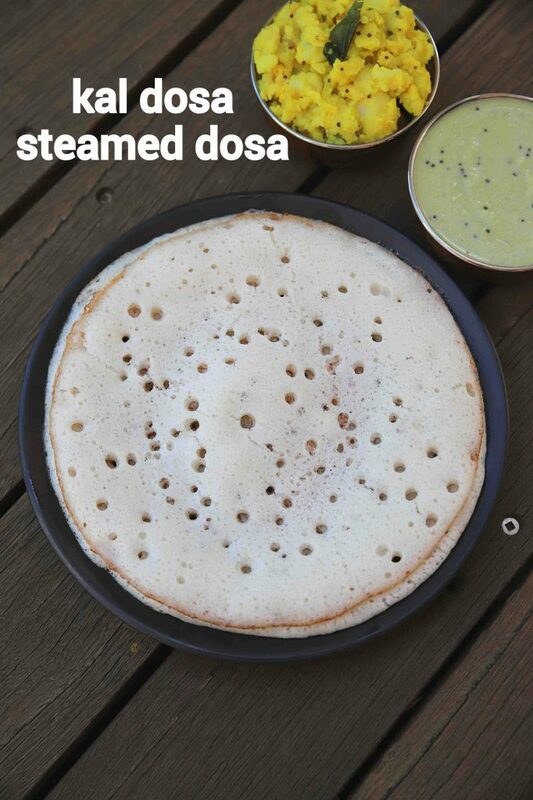 it is later covered and cooked in a steam and hence it is also known as steam dosa or steamed kal dosa. apparently, this dosa variation is one of the favourite dosa recipes of megastar chiranjeevi (south movie star) and hence it is also known as chiranjeevi dosa. there isn’t any rocket science with the kal dosa recipe, yet some tips and suggestions to make it porous and soft. 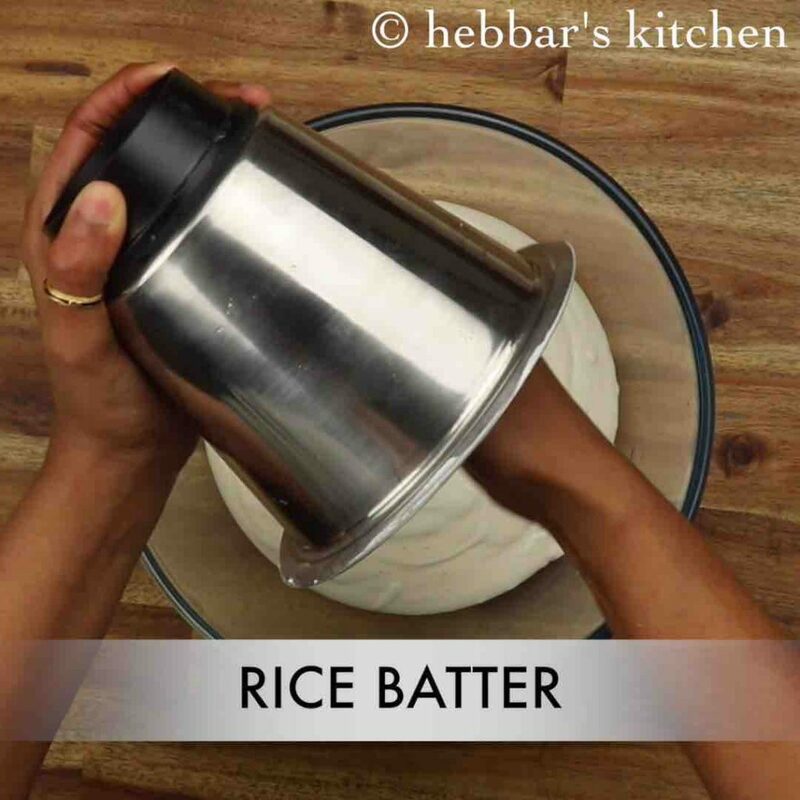 firstly, i would heavily recommend using idli rice or parboiled rice to make dosa batter. you may not achieve the same result with sona masuri rice or even basmati rice. 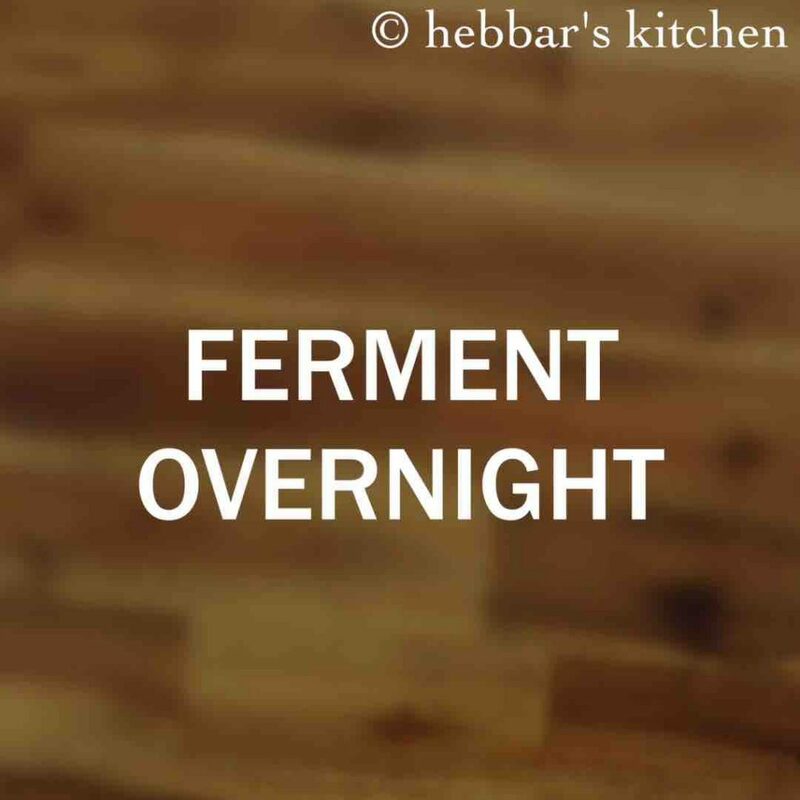 secondly, the fermentation is key in this dosa recipe and allow the dosa batter to ferment overnight. if you live in a cold climate, keep it in a preheated oven or near to the cooking stove. 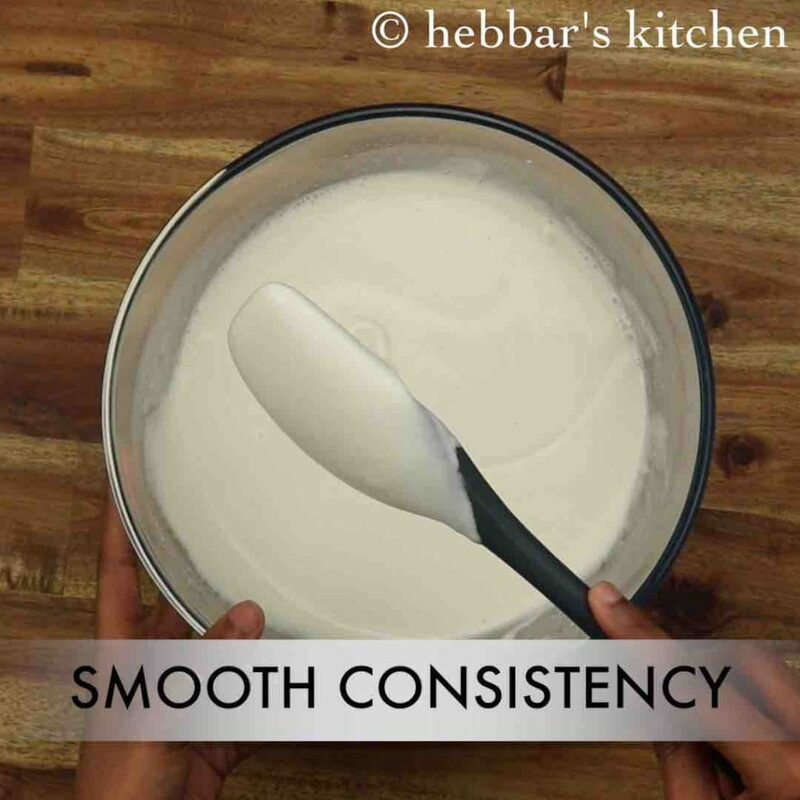 lastly, do not attempt to spread the dosa thin like masala dosa or plain dosa. 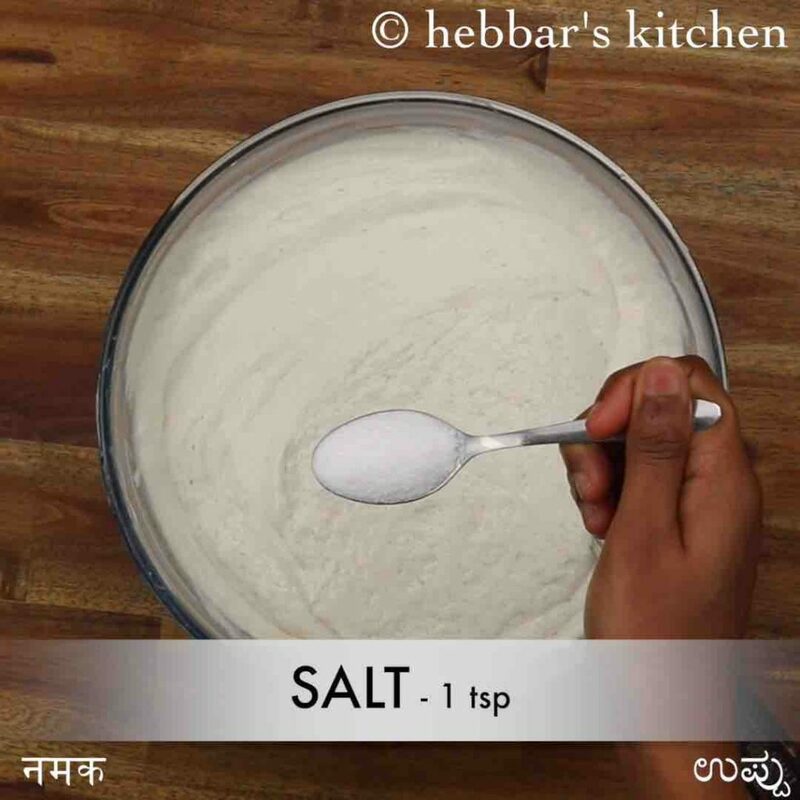 you may not be able to remove it once the dosa is cooked on tawa. 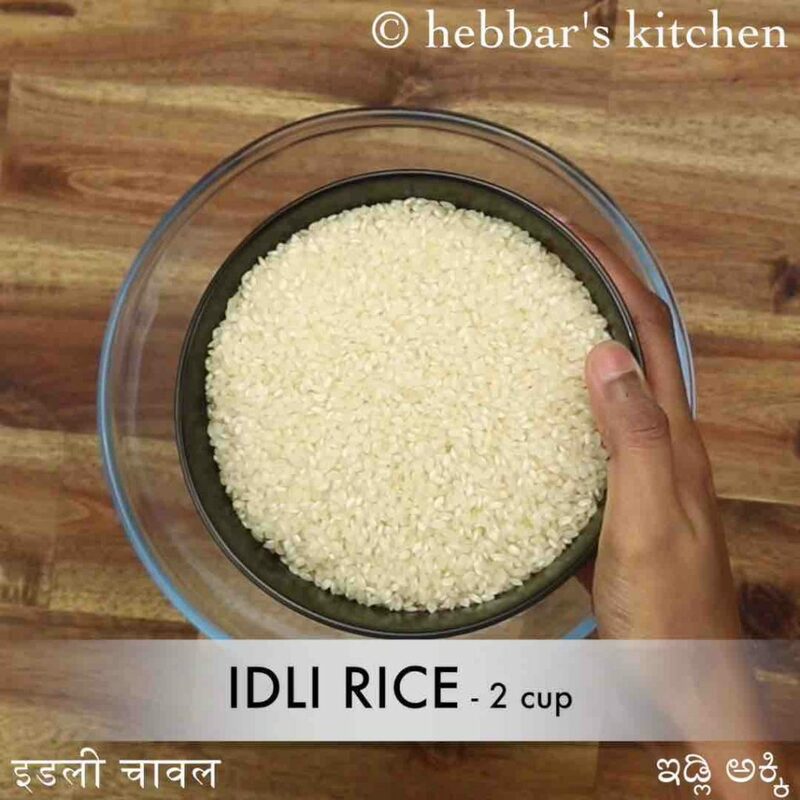 firstly, in a large mixing bowl soak 2 cup idli rice and ½ tsp methi. soak for 5 hours. 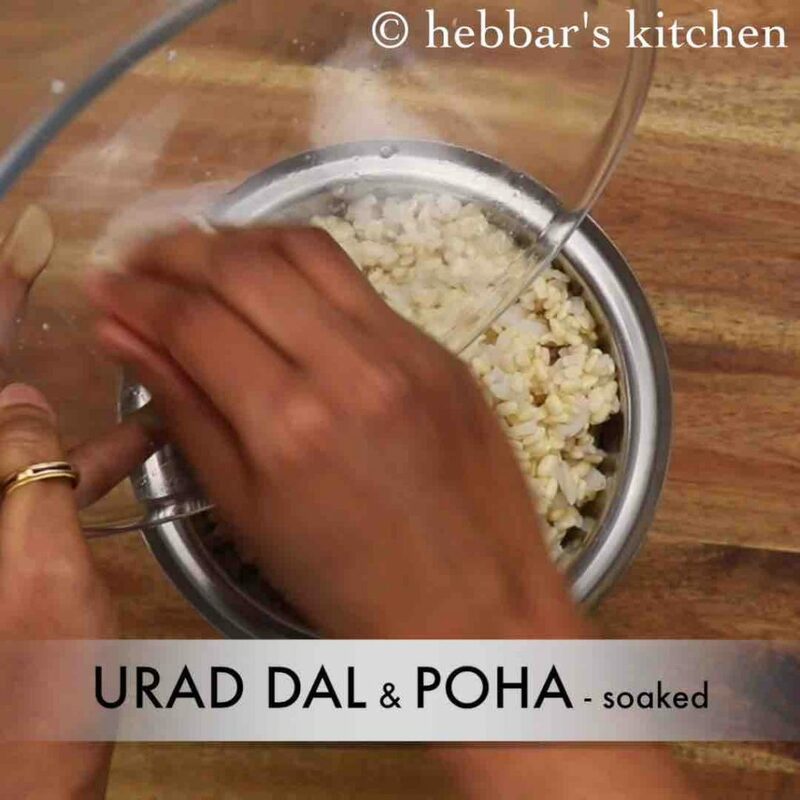 in another bowl soak ¾ cup urad dal and ¾ cup poha for 3 hours. 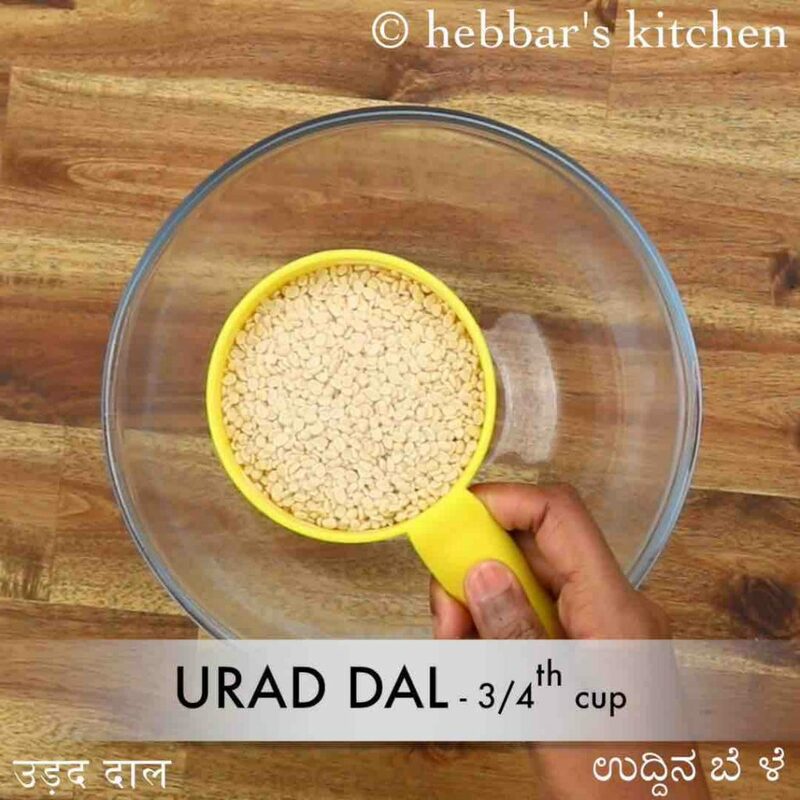 drain off the water from urad dal and transfer to the blender. 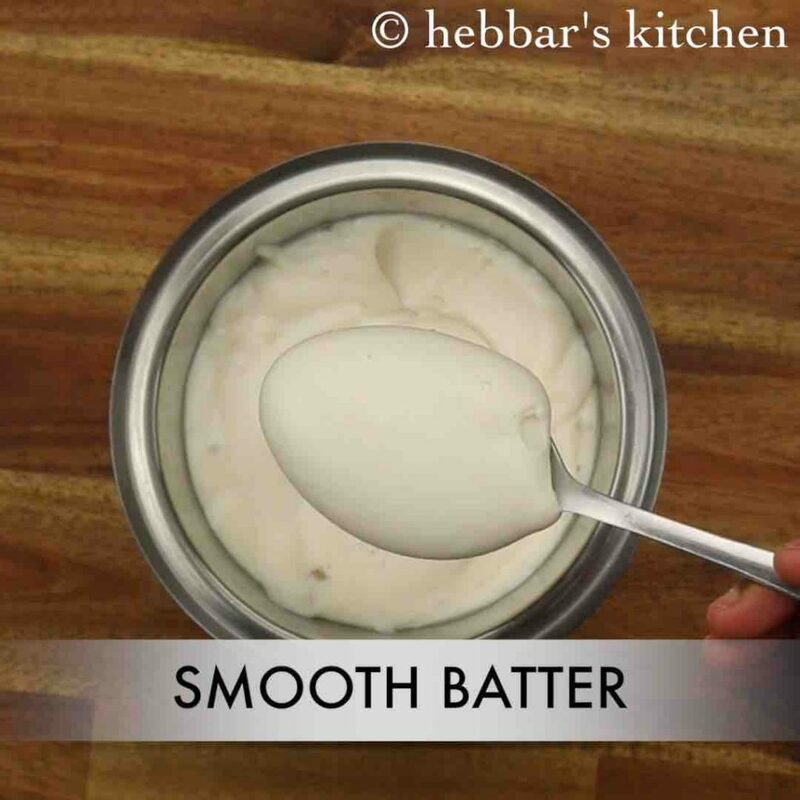 blend to smooth and fluffy batter adding water as required. 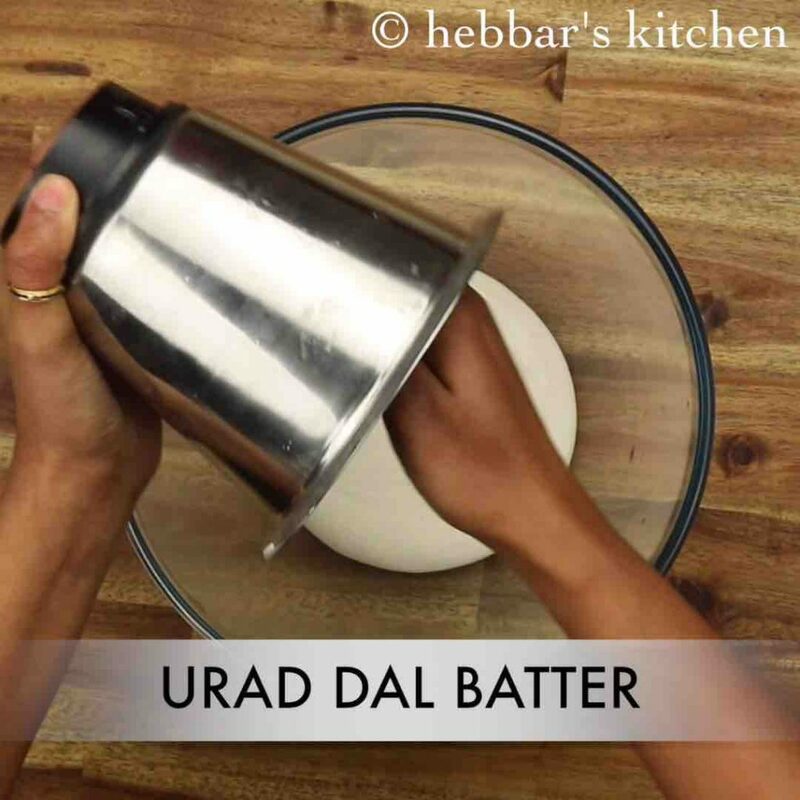 transfer the urad dal batter into large bowl. 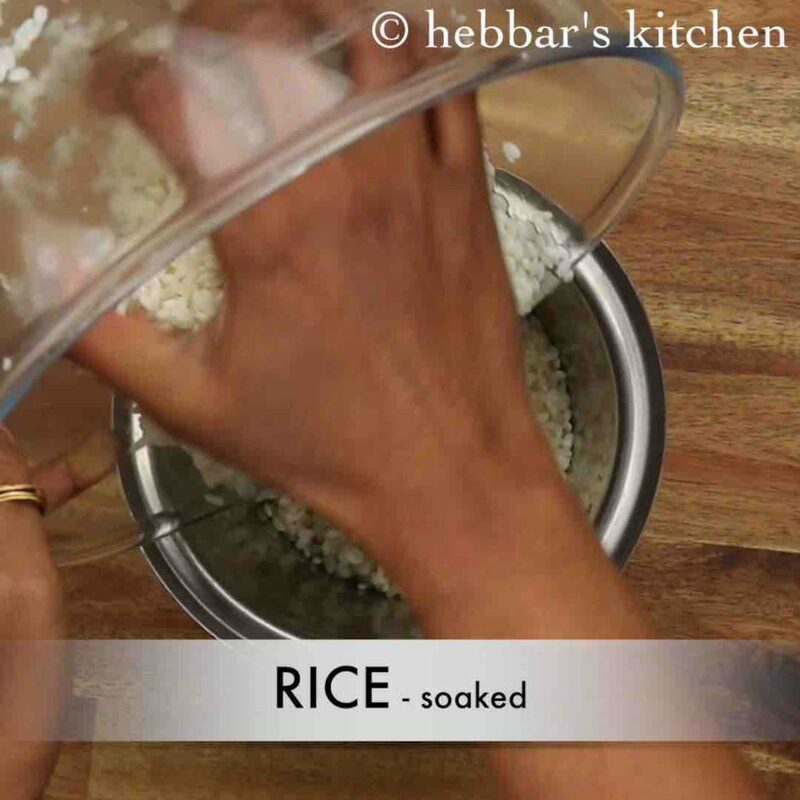 also, transfer the soaked rice into a blender and blend to slightly coarse batter. 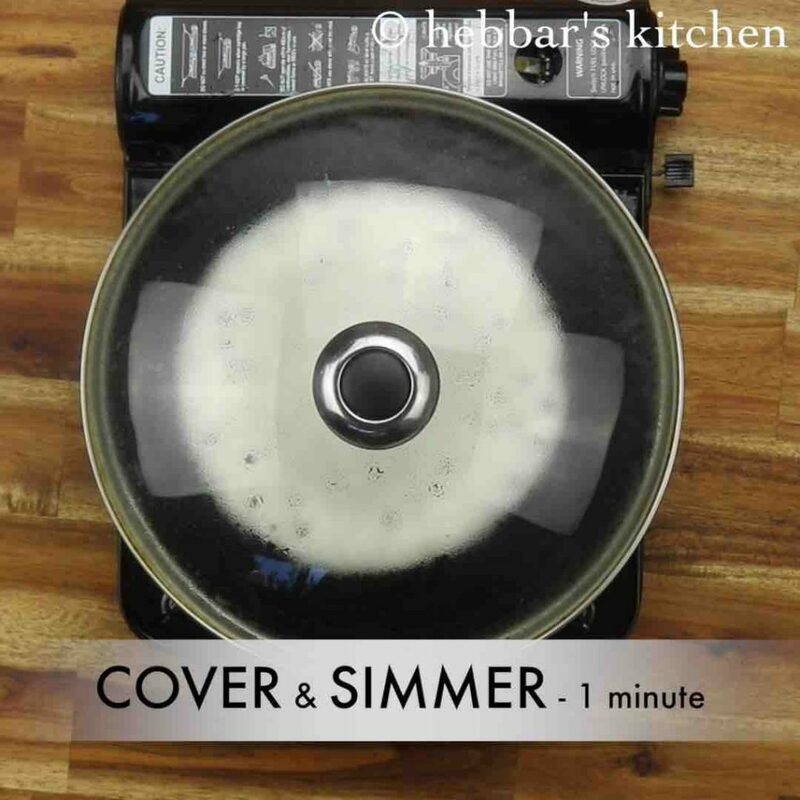 transfer the rice batter to the same urad dal batter bowl. 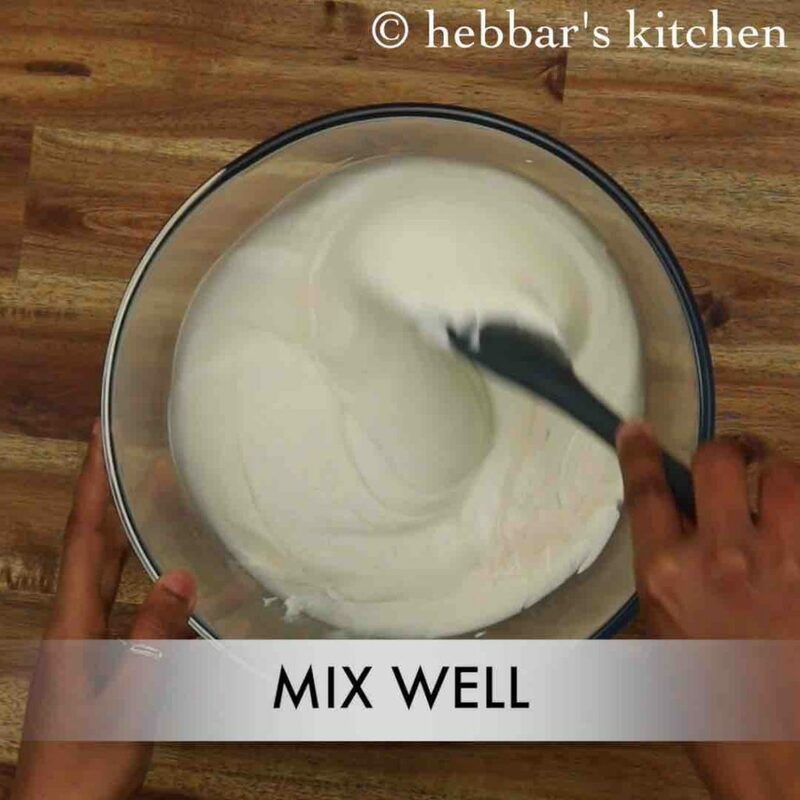 mix well making sure both the batter are combined well. now cover and rest in warm place for 8-10 hours or till the batter ferments and doubles. 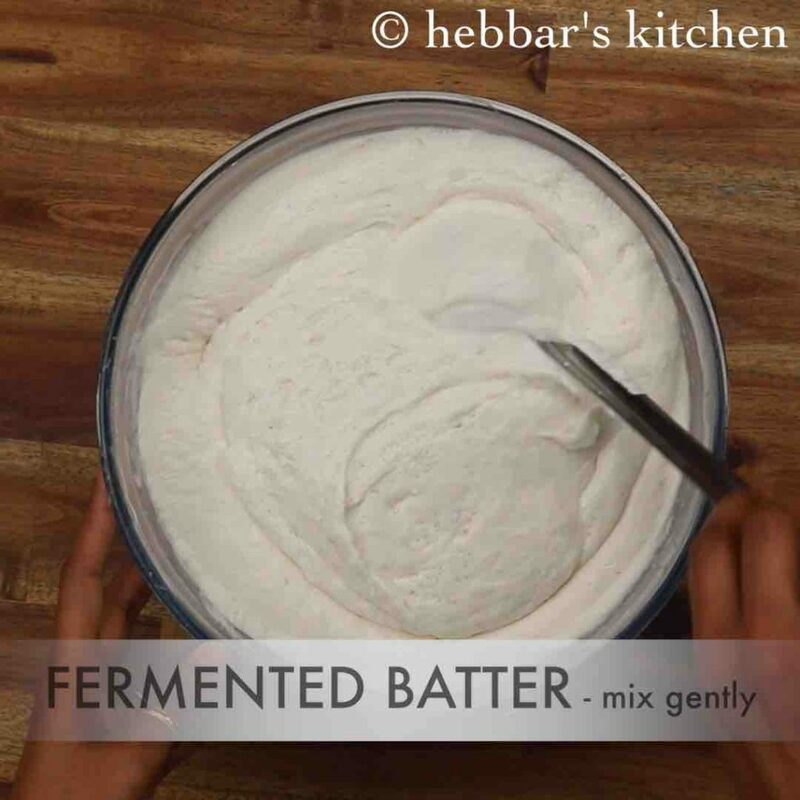 after 8 hours, batter doubles indicating well fermented with air pockets present. add 1 tsp salt to the batter and mix well. 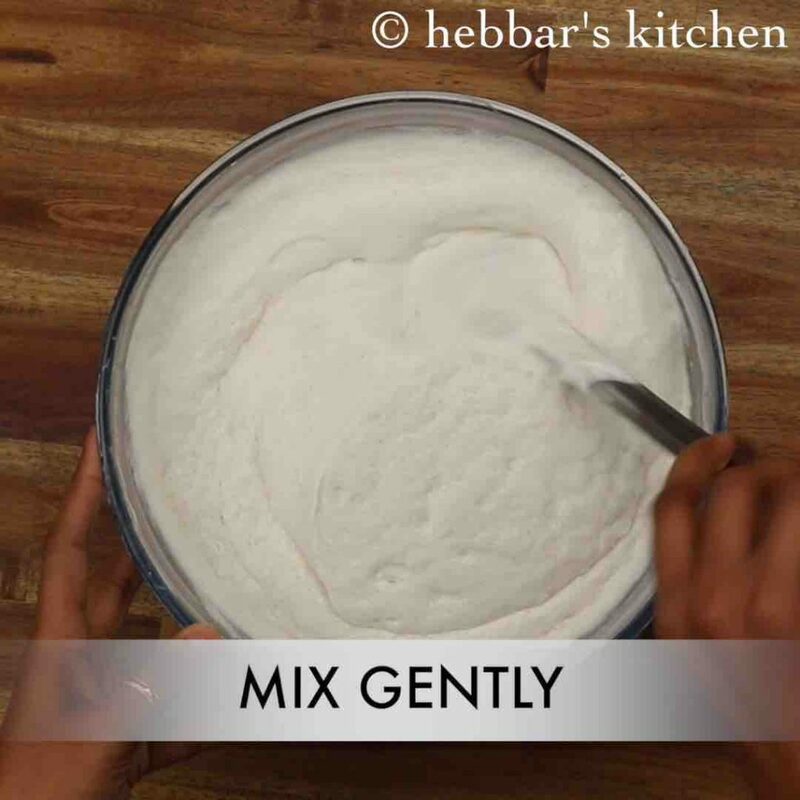 mix gently without disturbing the air pockets. also, heat the griddle and pour a ladleful of batter. 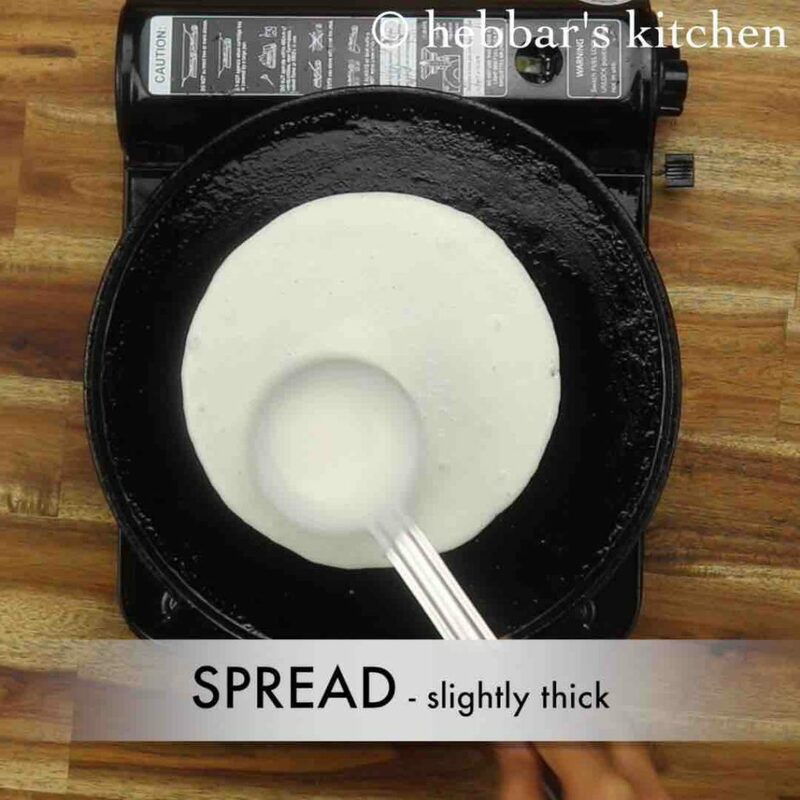 spread out in a circular motion slightly thick than regular masala dosa. 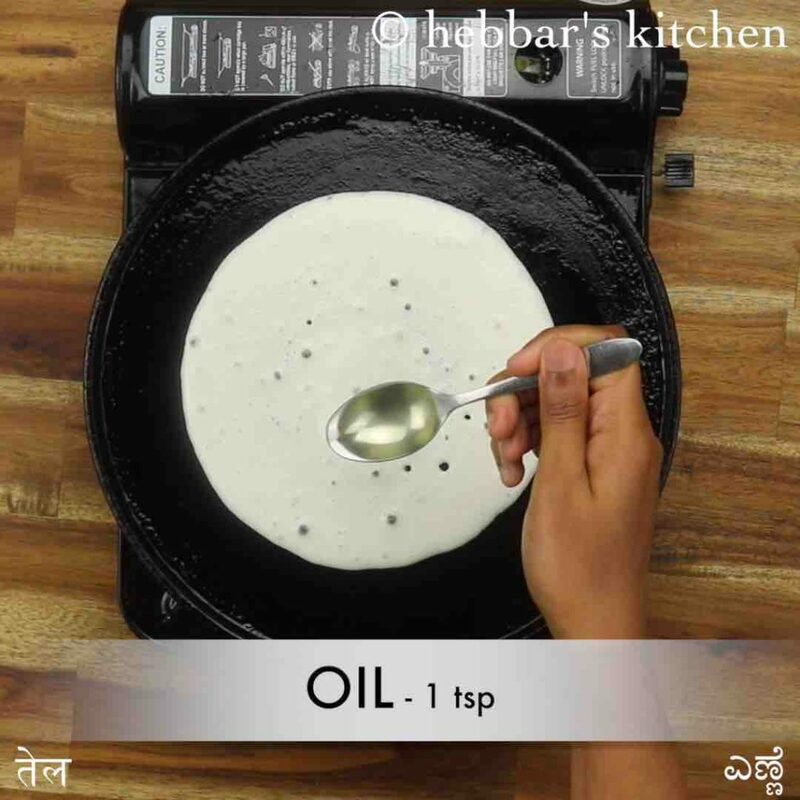 also spread a tsp of oil from sides of dosa. cover and roast the dosa to a golden brown from bottom and completely cooked from top in presence of steam. finally, enjoy steamed dosa / kal dosa with chutney and aloo bhaji. add water if required and mix well making sure both the batter are combined well. cover and roast the dosa to a golden brown from the bottom and completely cooked from the top in presence of steam. firstly, pour the dosa slightly thick else the dosa will not be puffy. also, blending leftover rice and adding to the batter will give restaurant style texture. furthermore, if you are unable to find idli rice then replace idli rice with dosa rice. additionally, you can add soda and sugar to get more holes in dosa and golden colour. finally, steamed dosa / kal dosa dosa tastes great when prepared with well-fermented batter.